A £350m roadscheme which involves, amongst other things, diverting the fuel pipeline which supplies Manchester Airport and dodgy Stockport Council can't even provide one document about this. They have a legal obligation to maintain information in an accessible form. 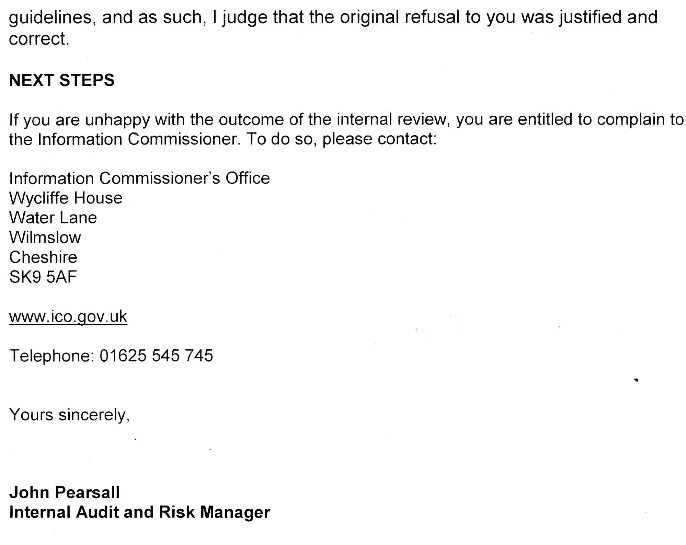 Given the long history of planning corruption and incompetence at Stockport Council, this is very worrying. 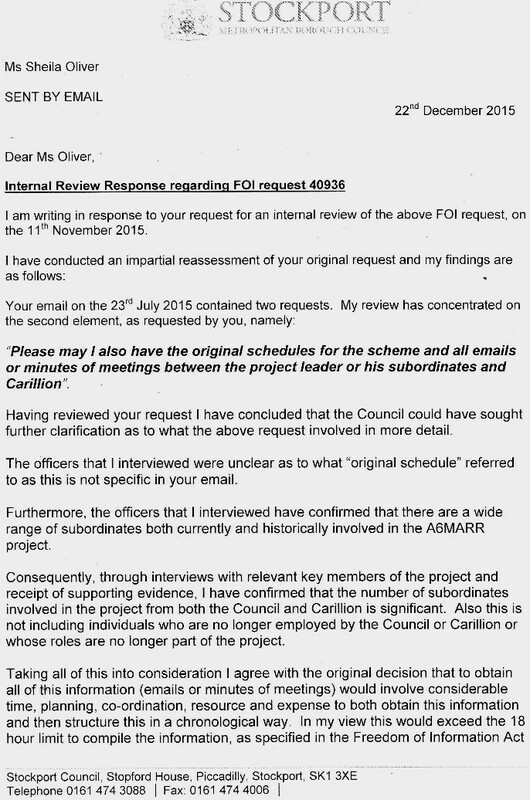 Will it take two to three years for the Information Commissioner's Office to fail to read the submitted evidence and then brand me, yet again, vexatious for questioning the running of this £350m project? On past experience the answer is almost certainly yes. 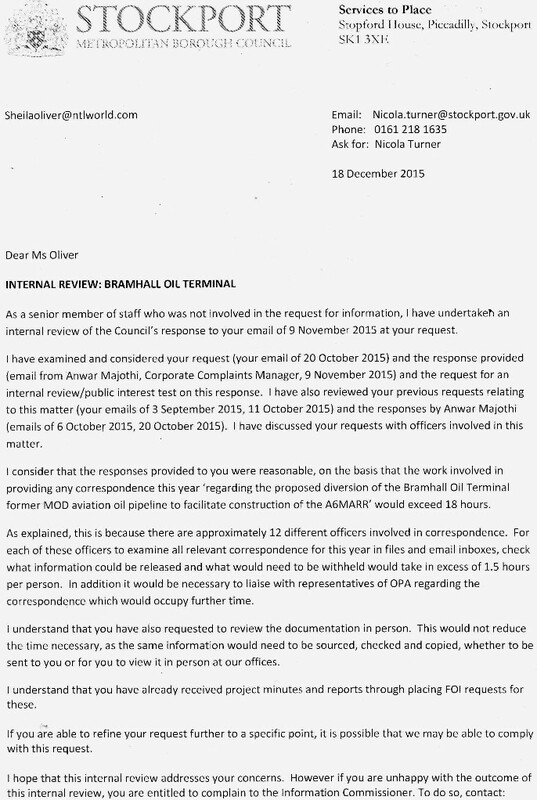 Thank you for your correspondence dated 22/12/15, received on the above case reference number, regarding Stockport Council's refusal of your information request dated 23/07/15. The matters you have raised will be assigned to one of our casework teams before being allocated to a case officer who will respond in line with our current service standards. Should you wish to contact us about this matter please quote the case reference number FS50610518 which has been allocated to this complaint. Failure to do so may delay the processing of your request. If you require any further advice or assistance please contact our Helpline on 01625 545745. The ICO's mission is to uphold information rights in the public interest, promoting openness by public bodies and data privacy for individuals. 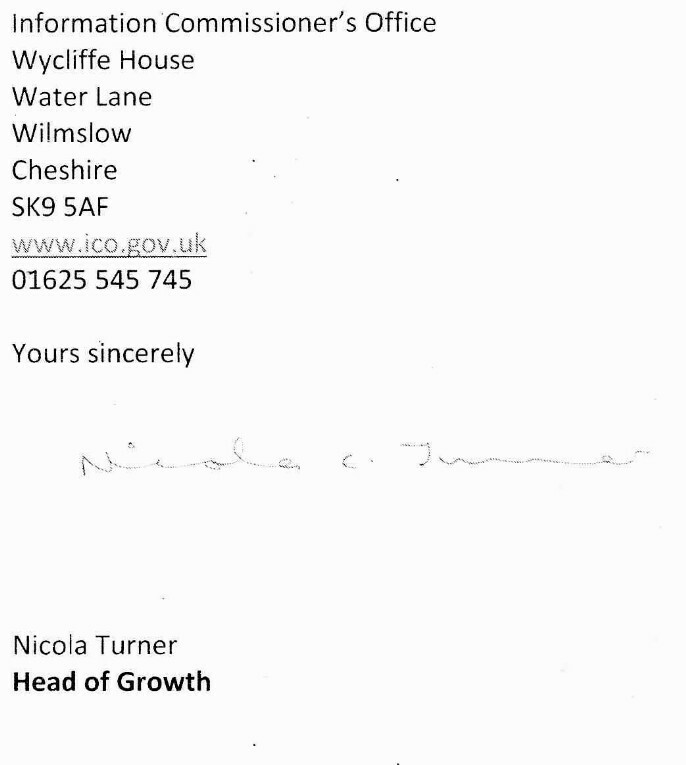 Thank you for your correspondence dated 21/10/15, received on the above case reference number, regarding Stockport Council's refusal of your information request dated 20/10/15. Should you wish to contact us about this matter please quote the case reference number FS50610503 which has been allocated to this complaint. Failure to do so may delay the processing of your request.